Home › Alumni › Alumni Testimonials › Alumni Spotlight #9: Grace P. Lee, J.D., Ph.D.
A 2007 graduate of PGSP's Ph.D. program, Dr. Grace P. Lee was a recipient of the prestigious Murray Tondow Outstanding Dissertation Award. Dr. Lee is a leading expert in the presentation of psychological scientific evidence. Her research is based on the Daubert standard in addressing the admissibility of psychological assessments as expert testimony. In 1993, the United States Supreme Court in Daubert v. Merrell Dow Pharmaceuticals announced various factors that courts may use in analyzing the reliability and validity of scientific evidence. Since the Daubert decision, judges, academicians, and forensic psychologists have expressed confusion about these factors and their application. Dr. Lee is working on solutions to these problems, and making a valuable contribution in providing judges with general guidelines for evaluating psychological assessments. 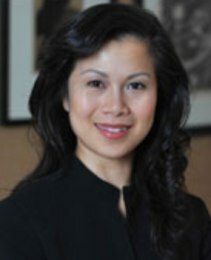 Dr. Lee is the Deputy Director of the Forensic Psychology Group, a licensed New York psychologist, and a member of the Bar of the State of California. She specializes in forensic, psychological, and neuropsychological evaluations and is available for expert testimony in the areas of immigration, criminal, personal injury, medical malpractice, and employment law. Grace P. Lee is a member of the American College of Forensic Psychology, the American Psychological Association - Division 41, Psychology and Law, the Association for Behavioral and Cognitive Therapies, the Association of the Bar of the City of New York, the Asian American Bar Association of New York, the National Asian Pacific American Bar Association, the National Association of Women Lawyers, the International Bar Association, the American Immigration Lawyers Association, and the National Employment Lawyers Association.